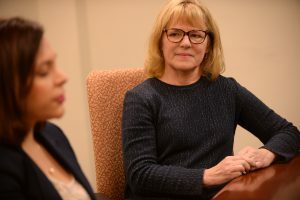 Pitt psychiatry professor Judy Cameron, PhD and doctoral student Alexandra Miragaia de Oliveira came to realize in similar ways that, while their work was important, it was not as impactful as they knew it could be. But both are now confident that they have found the right vehicle for achieving impact through the commercial application of their research. Cameron, after a prolific career researching and publishing, is stretching her legs as an entrepreneur as she prepares to take her startup, Working for Kids: Building Skills, out of the University in coming months. The women credit the Innovation Institute’s Pitt Ventures Gear Program with helping them discover the right customers for their education platform for training the brains of at-risk children to make better decisions. The Gear Program also helped them secure funding to refine their business plan through the NSF I-Corps program, for which Pitt was one of the original participants. Working for Kids is one of eight Pitt innovation teams that have qualified for $50,000 and additional training offered through the national I-Corps program over the past two years. Cameron had discovered in the 1990s and early 2000s through primate studies that life experiences affected how neural networks governing cognitive functions such as decision making, problem solving and emotional responses develop. Cameron recognized early on that this research had implications for human brain development. She traveled far and wide to share her discoveries at academic conferences and before state legislatures urging changes in ways that children in at-risk situations are taught in order to develop decision making skills they lacked. Cameron at first thought this was enough, until it dawned on her that educating and advocating for change wasn’t the same as making change happen. In the summer of 2015, she filed an invention disclosure with the Pitt Innovation Institute around discoveries her lab had made in observing how stress affected development of neural pathways in primates. She and Miragaia had been thinking about how those learnings could be translated into interventions for human children in at-risk situations. She begun getting emails from the Innovation Institute about educational programming and funding opportunities for Pitt Innovators interested in commercializing their discoveries and decided to see what opportunities were available. She realized that to advance her discoveries on how to re-train the brain, she had to undergo a transformation in her own thinking. Cameron and Miragaia entered the Pitt Ventures First Gear program last spring to determine if their idea had commercial potential. Through a customer discovery and value proposition definition process that they were guided through with the assistance of their Innovation Institute mentor, Robert Huemmrich, they found that their idea delivered value, but showed them that they needed to target a different set of customers than they initially envisioned. They pivoted away from a focus on appealing directly to parents, to focusing on delivering their product via social service providers and the juvenile justice system. Now Cameron’s days are just as likely to be spent in the Shuman Detention Center as they are her Pitt research lab. The experience has also helped her reshape her approach to research. “Learning to pay attention to what the market wants, even a basic scientist like myself can understand how to orient the research toward market need,” she said. 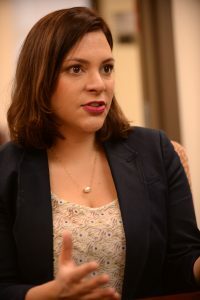 Miragaia’s desire to make an impact initially took her back to her native Brazil, where she returned to earn her medical degree after studying mathematics and philosophy at Duke University. But after several months practicing medicine in rural Amazonian communities, she felt she was not making a difference at the scale she wanted to make. Her own father had grown up in dire poverty, but her grandmother instilled in him the importance of education, and through his dedication to learning, he became a physician. “If you have one person that can break out of that cycle, it can be transformative,” Miragaia said. She wanted to find a way to help more children in poverty by achieving equity in brain health, so she decided to embark on a doctoral degree in developmental neuroscience. Miragaia said she was attracted to Pitt because of Cameron’s interest in translating discoveries in the lab into real-world interventions. Jenny Kwon, an undergraduate researcher, discusses lesson plans with instructors at the Shuman juvenile detention facility in Pittsburgh’s East End. In order to succeed in the First Gear Program, Cameron and Miragaia had to avoid the notion that their expertise in neuroscience would translate directly to product development and entrepreneurship. Cameron said she was initially in a panic when meeting with mentor Robert Huemmrich because she didn’t understand the terminology being used. Now she is confident enough to devote herself full time to Working for Kids, where she hopes to achieve her biggest impact yet. To better prepare her to lead the new company, she enrolled in the First Step/Second Step educational series for launching a business through the Innovation Institute affiliate Institute for Entrepreneurial Excellence. Cameron said she doesn’t regret her years spent in the lab, but said she is embracing her new mindset when it comes to the meaning of her work. “I have benefitted enormously from the access to the resources of the Innovation Institute. Now I really think further down the chain to the people I want to reach,” she said.